For the transformer core coils t84 to t150 Mundorf uses nothing but FERON which is extremely low in losses and distortions. This material is a grain-oriented silicon iron with a sheet thickness of 0.35 mm. This high quality initial material is subsequently heat treated in a special process. In this way, distortions in the material's crystal lattice structure, caused by rolling and stamping, are eliminated. In this way, FERON is provided with a crystal lattice structure which displays optimum magnetic properties. 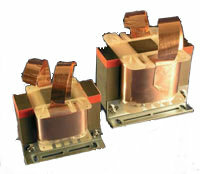 Such a core material is used for the manufacture of high quality audio transformers. 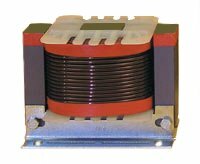 It is very seldom used in "normal" transformers, except where very low power loss is important. In this construction type, coils can be manufactured with very low internal resistances and extreme load-bearing capacity. These are the preconditions for a precise deep bass. The ratios of inductivity to internal resistance achieved here can often not even be realised with pure air cored coils, or only at considerably greater financial cost. In non-impregnated coils, vibration occurs as a result of the current flowing through the coil. The microphonic effect, i.e. the conversion of mechanical into electric oscillations, adds these oscillations back to the original signal as additional information. In this way, details of the original signal are overlaid and rendered unrecognisable. The music loses spatial quality and transparency. This process is prevented by vacuum impregnation. In vacuum impregnation, the coil is first impregnated with a special lacquer under vacuum. Because of the vacuum, this lacquer flows right into the innermost windings. The lacquer is subsequently dried in an oven at 130 °C. Thus the whole coil is baked into a very solid unit. The individual windings are prevented from vibrating and the original signal remains uncorrupted. 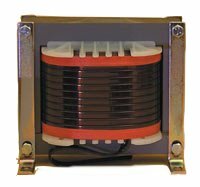 Beside vacuum impregnated coils we offer the baked varnish air coil. The windings of baked varnish coils are made using a special wire. After the coil has been wound it is heated up causing an additional layer of varnish on the wire to melt, bonding the individual windings firmly together. The effect is similar to that achieved with vacuum impregnation, but this process is cheaper for small coils. Baked varnish coils are available with winding diameters from 0.71mm - 1.40mm. All series are identified with a "B" prefix. Please note: *) Pmax 8 Ohm is the maximum power that this coil is able to deliver to the bass driver. Baked varnish coils are only available with winding diameters from 0.71mm - 1.40mm. These series are identified with a "B" prefix. Beside the baked varnish air coil we offer vacuum impregnated coils. Mundorf also delivers OFC (oxygen-free copper) copper foil coils produced in its own factory. It is extremely pure, and it has a special crystal lattice structure. The outstanding audio characteristics of this precious material are further enhanced by the electrical benefits of the coil design: In contrast to conventional coils, where the individual turns of the windings lie side by side, the windings in these units are directly on top of one another, bringing them significantly closer to the theoretically ideal coil. The zero ohm coil (ZOC) is a special form of transformer core coil. This is also made of the top quality material FERON described in the chapter "Transformer Core Coils". In the ZOC, an air gap is calibrated and adjusted by hand between the two laminated cores (one I-shaped and one E-shaped). The air gap determines the inductivity of the coil and demands great care in the manufacturing process. It must not be too small, as saturation effects would otherwise occur at high loadings. The high production costs of the ZOC, and thus its higher price, are always justified when maximum faithfulness in pulse reproduction is required. 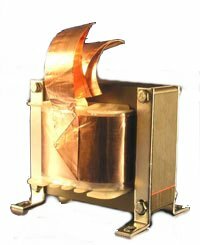 Mundorf also delivers Zero Ohm coils with copper foil produced in its own factory. It is extremely pure, and it has a special crystal lattice structure. The outstanding audio characteristics of this precious material are further enhanced by the electrical benefits of the coil design: In contrast to conventional coils, where the individual turns of the windings lie side by side, the windings in these units are directly on top of one another, bringing them significantly closer to the theoretically ideal coil. CFC-OFC coils are available in four diameters from AWG 10 to AWG 16 (corresponds to round wire with diameters of 1.25 to 2.6mm). The advantages of foil coils are easy to explain: In comparison with other forms of construction, the slightest vibrations are clearly measured during the operation with foil coils. In practical terms, this means: The slightest possible signal distortions through any microphonic effects. Mundorf now offers coils made of pure silver foil or of silver/gold foil. As everybody knows, pure silver conductors are highly valued by many audio enthusiasts due to their superior ability to reproduce voices and instruments in their timbres in an extremely differentiated and neutral manner, and - if possible - are preferable to copper conductors. Silver/gold foil - Mundorfs state of the art foil - ultimately combines the entire variety of multifaceted timbres with the natural, tonal warmth of gold. Foil coils are available in different diameters from AWG 10 to AWG 16 (corresponds to round wire with diameters of 1.25 to 2.6mm). The coil below is AWG14 with 2.08 mm².